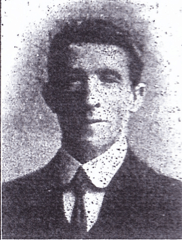 Edward George Taylor was born in the 2nd quarter of 1875 in Chipstead, Surrey to general labourer and Shepherd Theophilus Taylor and Mary Taylor nee Flint. 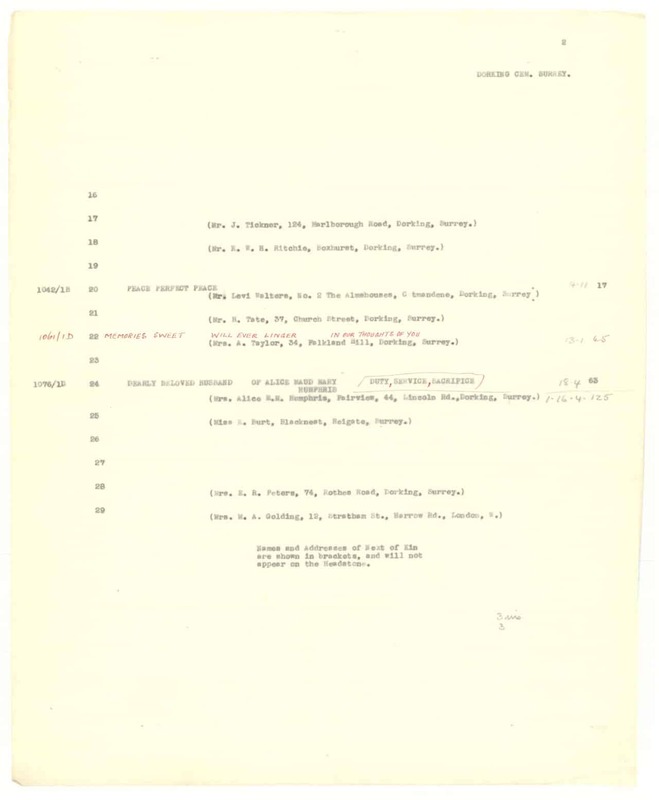 Edward George’s father Theophilus Taylor was born in the 2nd quarter of 1843 in Chipstead, Surrey to labourer George Taylor and Martha Taylor. Theophilus Taylor was baptised on the 18th of June 1843 at St Margaret’s church in Chipstead, Surrey. At the time of the 1816 Census, Theophilus was a boarder of farm bailiff James Crust at Gatton Farm in Chipstead. Theophilus was working as a shepherd. Edward George’s mother Mary Flint was born in the 1st quarter of 1848 in Froyle, Hampshire to labourer and gardener Edward Flint, born about 1861 in Brockham, Surrey, and Mary Flint, born about 1823 in Froyle, Hampshire. 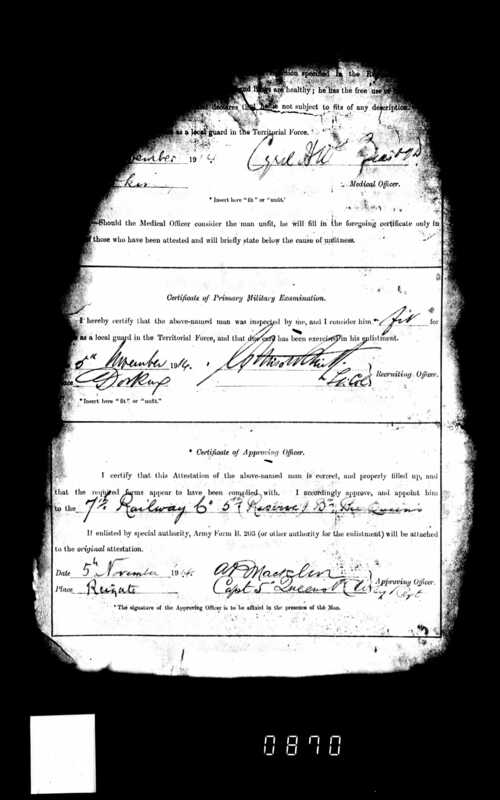 Mary Flint was baptised on the 16th of April 1848 in Froyle, Hampshire. Edward George Taylor and Mary Flint married on the 1st of September 1870 at St Margaret’s church in Chipstead, Surrey. At the time of the marriage, the couple lived in Chipstead and Theophilus was working as a labourer. 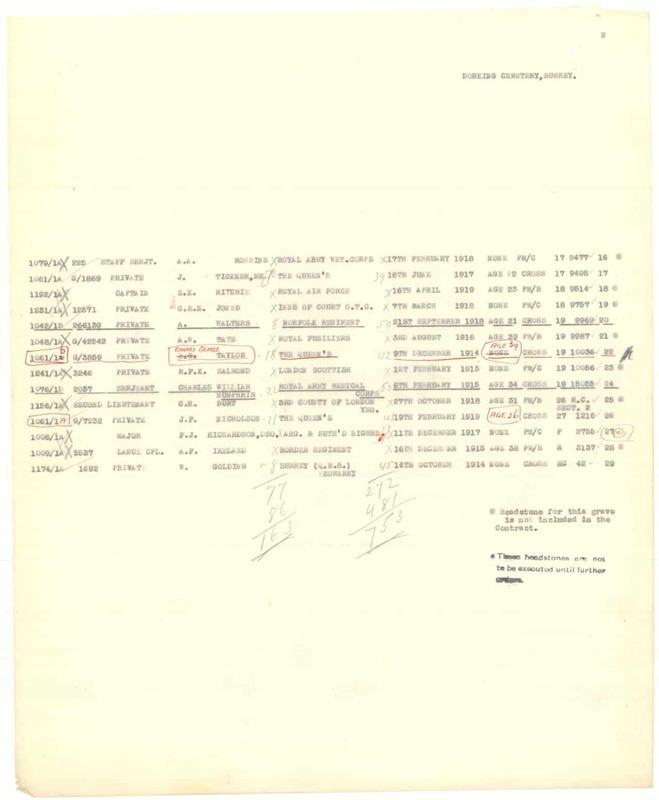 Edward George Taylor had seven known siblings: Harry Taylor born about 1869 in Chipstead, Surrey; Theophilus born about 1873 in Chipstead, Surrey; Mary born about 1879 in Chipstead, Surrey; James born about 1881 in Chipstead, Surrey; William born about 1883 in Chipstead, Surrey; Joseph born about 1885 in Chipstead, Surrey and Alfred born about 1888 in Chipstead, Surrey. At the time of the 1871 Census, Theophilus, Mary and their son Harry were living with Mary’s father, Edward Flint, at Brick House in Chipstead, Surrey. Theophilus and Edward were working as agricultural labourers. The household also comprised of Edward’s other children: domestic servants Sophia and Sarah, agricultural labourer Edward and scholars Esther, Agnes and Kate. Edward George Taylor was born in the 2nd quarter of 1875 in Chipstead, Surrey. He was baptised on the 2nd of May 1875 at St Margaret’s church in Chipstead. At the time of the baptism, the family lived in Chipstead and Theophilus was working as a labourer. At the time of the 1881 Census, Theophilus Taylor was a patient of Reigate and Redhill Cottage Hospital, Redhill Common. At the time of the 1881 Census, the rest of the family lived at 2 School House Cottages, Chipstead, Surrey. Mary was looking after her children: Harry, Edward, Mary and James. 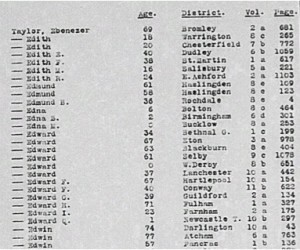 At the time of the 1891 Census, the family lived at Old School House in Chipstead, Surrey. Theophilus was working as a shepherd and Mary was looking after their children: farm labourer Harry, carpenter’s labourer Theophilus, general labourer Edward George and scholars Mary, James, William, Joseph and Alfred. Theophilus Taylor died in 1900 and was buried on the 20th of March 1900 at St Margaret’s churchyard in Chipstead. He was 58 years old. At the time of the 1901 Census, the widowed Mary and her sons gardeners Harry and Joseph and navvies James and William lived in Mugswell, Chipstead, Surrey. Edward George Taylor married Annie/Anne Douch, by Banns, on the 12th of December 1906 at St Mark and St Philip’s church in Reigate. At the time of the marriage, Edward George lived in Beare Green in Dorking and was working as a postman. Annie/Anne Douch lived at 7 The Clears in Reigate. Annie/Anne Douch was born in the 1st quarter of 1874 in Sutton Bridge, Lincolnshire to gardener Harry Douch, born about 1854 in Sutton Bridge, Lincolnshire, and Rosemont Douch, born about 1854 in Walpole, Norfolk. At the time of the 1901 Census, the family lived in Colley Manor House Cottage, Reigate, Surrey. The household comprised of gardener Harry, Rosemont, and their children: parlourmaid Annie/Anne, engineer and cycle manufacturer Fred and gardener Albert. Edward George and Annie/Anne had a daughter: Doris Annie Taylor born on the 22nd of August 1910 in Dorking, Surrey. She was baptised on the 23rd of October 1910 at St Paul’s church in Dorking. 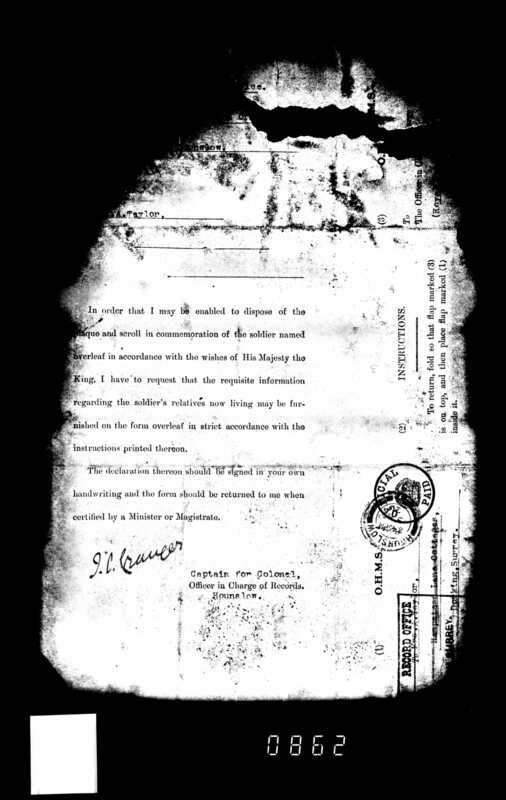 At the time of the baptism, the family lived at 10 Falkland Road in Dorking and Edward George was working as a postman. At the time of the 1911 Census, the family lived at 10 Falkland Road, Dorking, Surrey. Edward George was working as a postman and Annie/Anne was looking after their daughter Doris Annie. The accommodation had 4 rooms. 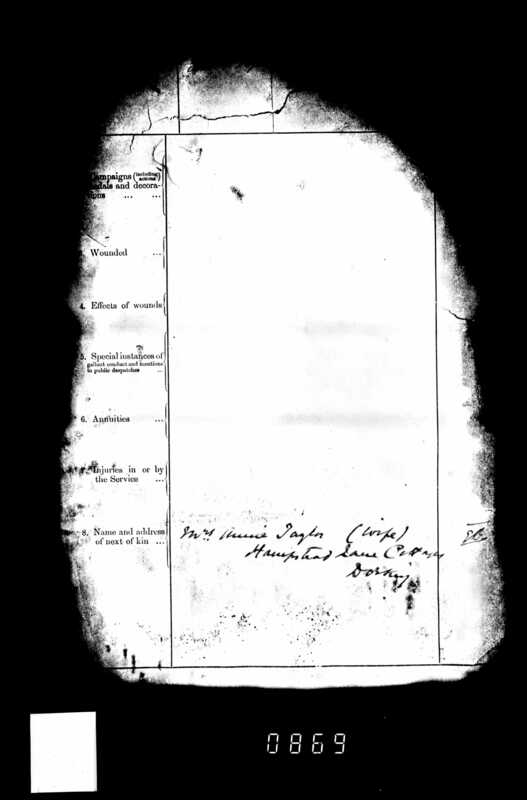 At the time of the 1911 Census, Edward George’s widowed mother Mary Taylor lived with her sons: gardeners Harry and Joseph in Mugswell, Chipstead, Surrey. The accommodation had 4 rooms. Edward George Taylor attested on the 5th of November 1914 in Dorking, Surrey. He became part of the 7th Railway Company, of the 5th (Reserve) Battalion, the Queen’s Royal West Surrey Regiment. 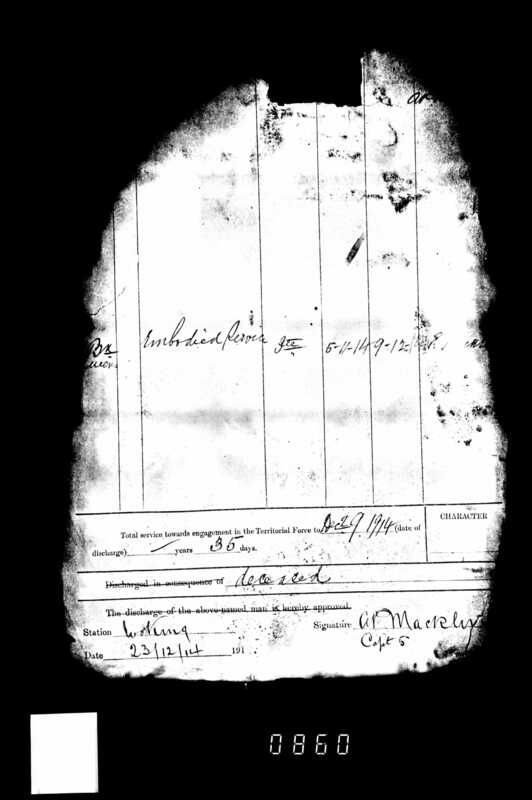 He was a private with a regimental number G/3859. Previously, he was part of the Royal Field Artillery and his regimental number was 20251. At the time of his enlistment he resided in Hampstead Lane Cottages, Dorking. 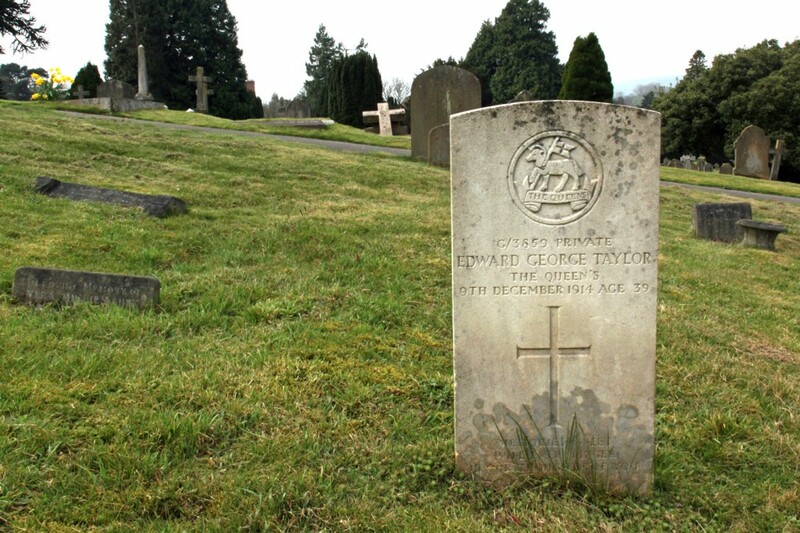 Edward George Taylor died in an accident on the 9th of December 1914 in Woking, Surrey. He was in the Army for 35 days. 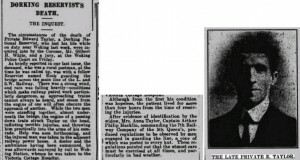 A Coroner inquest was held. The 1914 Dorking and Leatherhead Advertiser reads, that Private Edward George Taylor died in an accident while on duty near Woking. 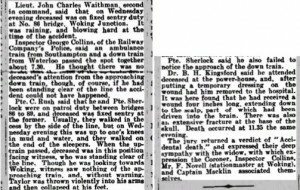 He was “with a fellow Reservist named Rush guarding the bridge across the main line of the L. and S. W. Railways. There was a strong wind, and rain was falling heavily – conditions which make railway patrol work particularly dangerous, as approaching trains cannot be heard, and steam from the engines of one will often obscure the approach of another”. 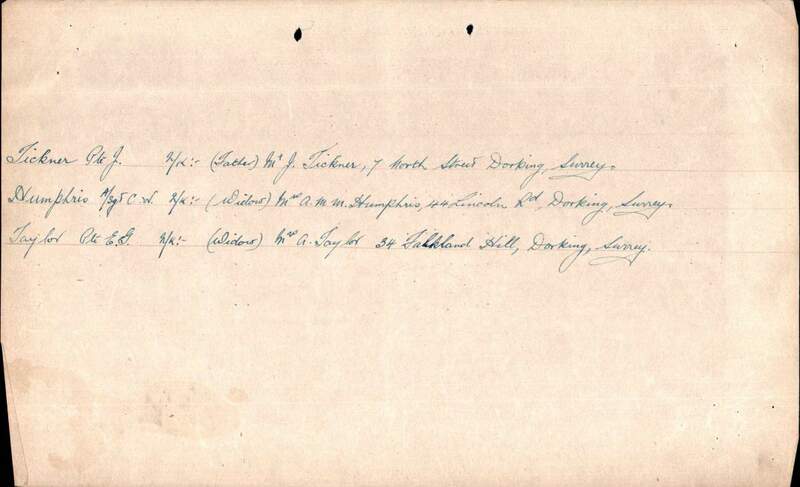 “Captain Arthur Philip Macklin, commanding the 7th Railway Company of the 5TH Queen’s, produced regulations to be observed by men engaged in guarding the line, a copy of which was posted in every hut. These regulations pointed out that the utmost care must be exercised at all times and particularly in bad weather”. 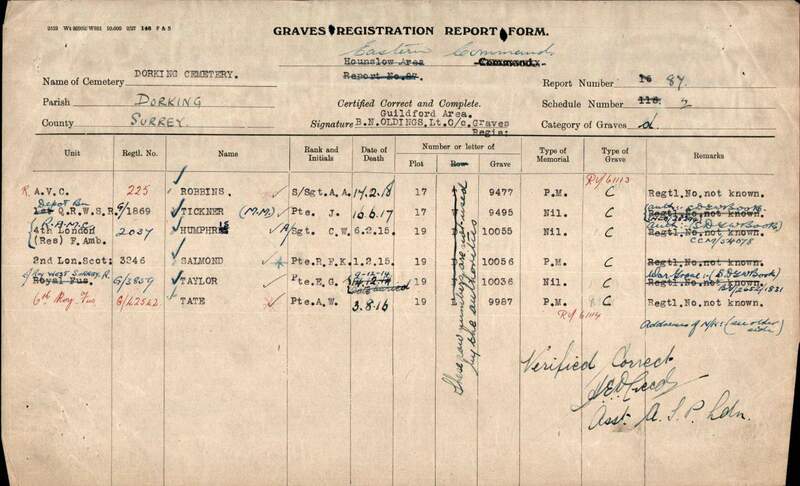 He was buried on the 14th of December 1914 at the Dorking Municipal Cemetery. His grave reference number is: 19.10036. The headstone inscription erected by Edward George’s wife Annie/Anne Taylor of 34 Falkland Hill, Dorking reads: “Memories Sweet Will Ever Linger in Our Thoughts of You”. 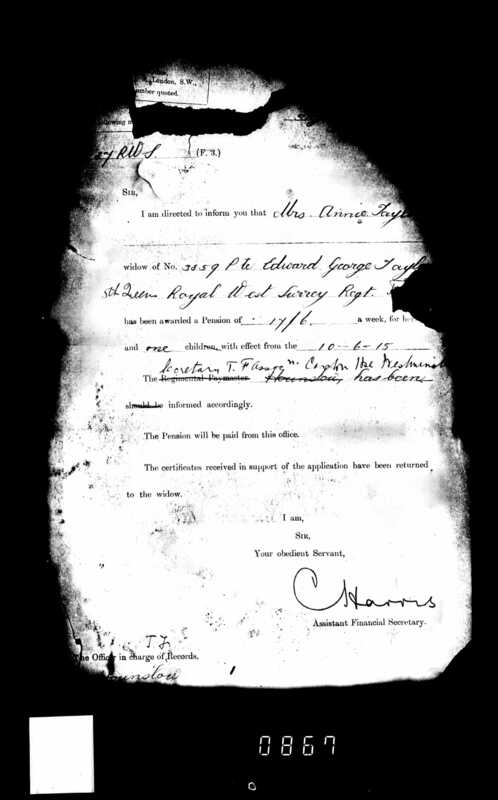 Edward George Taylor of Hampstead Lane Cottages, Dorking left to his wife Annie/ Anne Taylor £165 and 16s in probate. Annie/Anne Taylor also received £1, 5d and 3s on the 17th of May 1915 in Soldier’s Effects and a pension of 17/6 a week with effect from the 10th of June 1915. Cause of Death Accidentally killed after being hit by a train whilst guarding a bridge.near Woking.